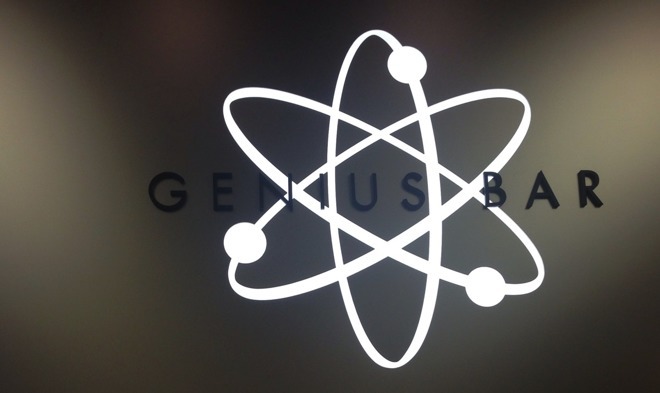 Reports claiming Apple Stores can't repair the 2016 MacBook Pro because of a lack of diagnostic tools are false, as AppleInsider has been told that stores are fully equipped and trained to perform all required diagnostics and repairs necessary. An account emerged at enthusiast site Macotakara claiming that several utilities needed to diagnose and repair the 2016 MacBook Pro weren't available at Apple Stores and other authorized service venues. According to the report, the "Apple Service Toolkit" was scheduled to be updated on Dec. 13, 2016, but has not yet been altered to accommodate the new models. Initial queries to high-volume Apple retail store staff were met with light dismissal, with accounts reporting that staff training was complete, and gear is on-hand. AppleInsider's own retail sources indicated that most of the service inquiries for the MacBook Pro are either exchanged on the spot within 10 days of original purchase, or replaced by the Apple Store under direction of Apple corporate, with the faulty unit returned to Apple engineers for evaluation. AppleInsider has also been told unequivocally that the report is wrong by our contacts within Apple corporate. "Apple stores have all of the software and hardware they need to successfully accomplish repairs on the new MacBook Pro," a source said, elaborating on the denial. "We do, at our discretion, utilize depot-level facilities for repair on both iOS devices and Macs that may be beyond the scope of a local Apple store for any reason, including volume in-store." While the assorted software tools required for service were not named specifically, Apple has confirmed that at least some repairs can be completed in-store, if not all. Additonally, AppleInsider has learned that three parts considered as "likely break-points" are held as stock at stores for repairs, with quantities depending on store volume. One of 11 stores we queried said that they had only one part in any quantity. As it has been for decades, if a specific repair part beyond the likely repairs is needed, it arrives overnight by FedEx, with the "core" needing to be sent back to Cupertino for analysis and refurbishment, as possible.